Paul Shulver is Head of Music Sponsorship at O2. His remit includes leading the sponsorship of the 20 x O2 Academy venues across the UK as well as the delivery of Priority Tickets, O2’s loyalty scheme which gives customers access to gig tickets up to 48 hours before general release. To date, over six million Priority Tickets have been purchased by O2 customers. Paul has previously held specialist roles in music and sponsorship at brands including Virgin Media and Anheuser-Busch. 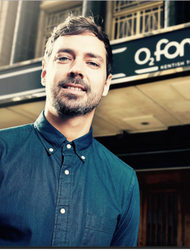 Since joining O2 in 2012, Paul has focussed on making music synonymous with the O2 brand. Highlights include leading multimillion ATL campaigns with Beyoncé, Lady Gaga and most recently Shawn Mendes as well as delivering ‘War Child BRITs Week together with O2’ a series of shows taking place every year where all proceeds go to children whose lives have been impacted by war.